5 pc. 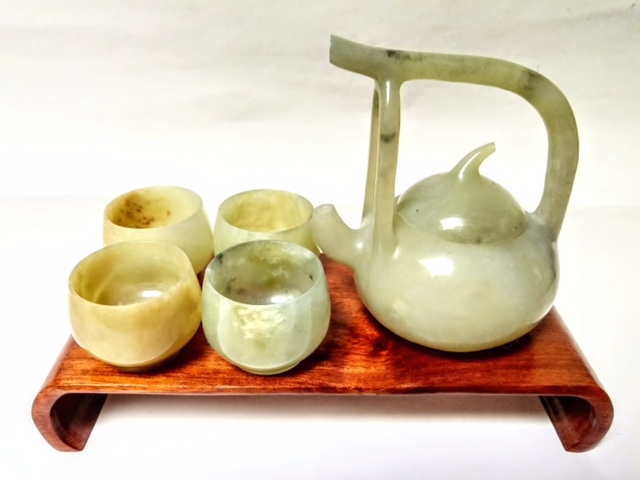 jade tea set. Teapot width 4 7/8" and 4 1/2" in height. Ornamental only. Wood pedestal is not included in price.